This world famous brand are known for comfort. 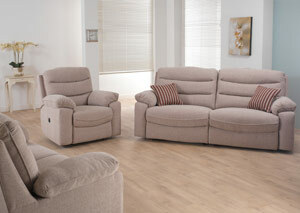 Their range of luxury recliner sofas can come in either fabric or leather in a choice of colours. You can also choose electric, manual or static options. Come and Try Comfort at Its Finest! We have offer 10 different models on display for you to try. Each model focuses on different areas of comfort, so that you can choose one that suits exactly what you are looking for.